The construction industry is one of the most hazardous businesses in the United States: 1 out of 10 construction workers are injured every year. Despite on-site safety measures, construction accidents are a common occurrence and thousands of workers are killed or injured every year in the United States. General contractors, including all subcontractors are obligated to furnish a safe and secure job site for their employees. They are obligated to make notice or announce any hazard like conditions, to employ cautious employees, to work safely and comply with safety rules and regulations. 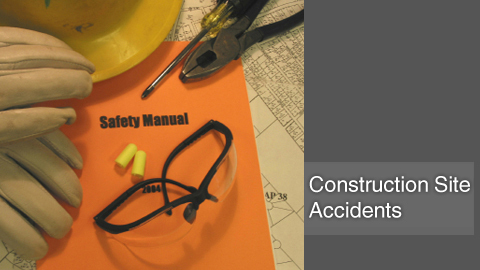 When a construction site accident occurs, the owners, architects, insurance companies and equipment manufacturers can be held responsible. If you or someone you know has been injured during the scope of their employment, please contact Lavaee Law Group at 1-888-97-97-97-8 for a free case evaluation.